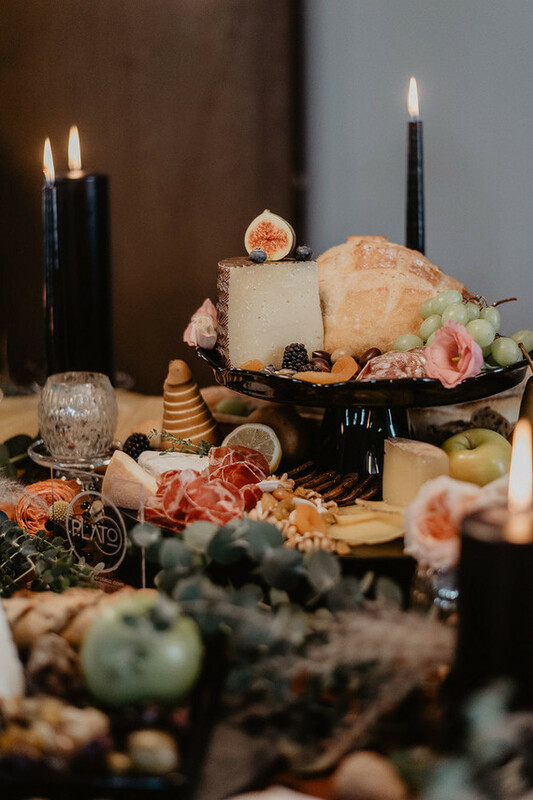 Spring may be on the horizon, but if you’re planning a wedding in fall 2019, you’ve probably got something more earthy and moody on the mind. 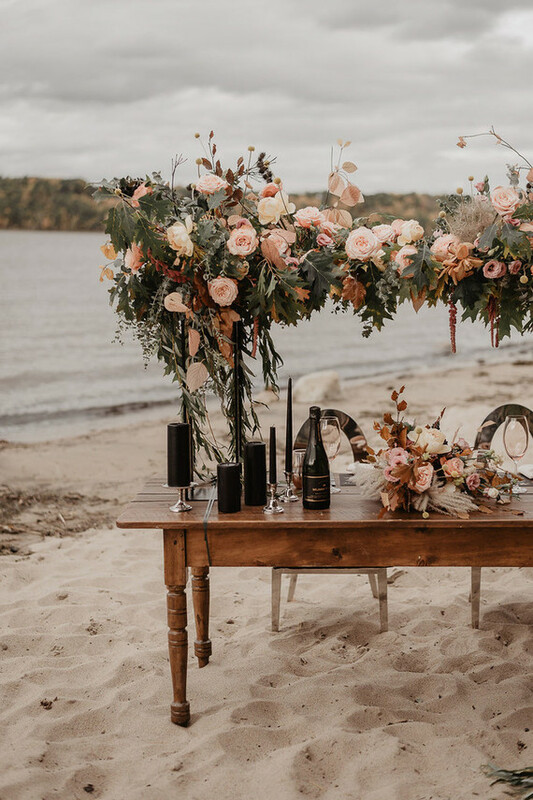 Julia Garcia-Prat captured this dark, romantic wedding inspiration designed by Deka Events at a beautiful cafe location with a sandy beach nearby. 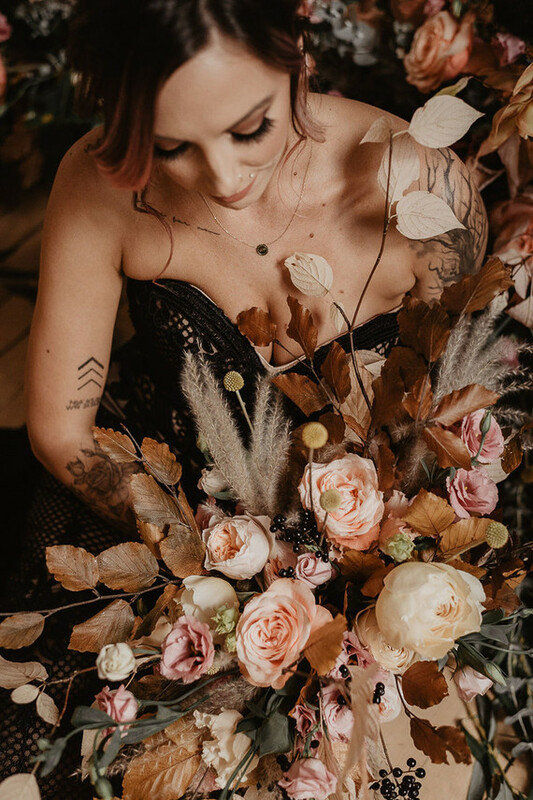 And with no shortage of wild, foraged florals, the whole shoot is a recipe for the perfect autumn wedding! 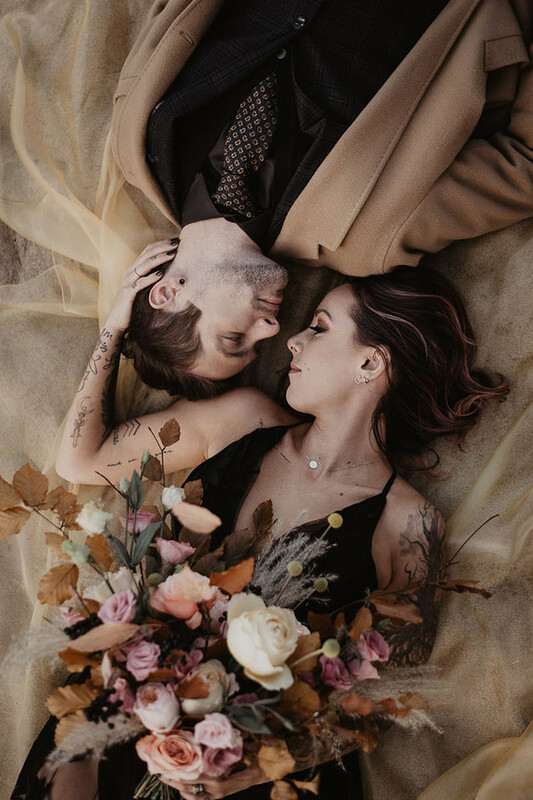 Oh.Fleurs arranged the most stunning fall florals with vibrant and muted yellows, burnt orange, soft pinks, and earthy neutrals. And the prettiest pops of coral! 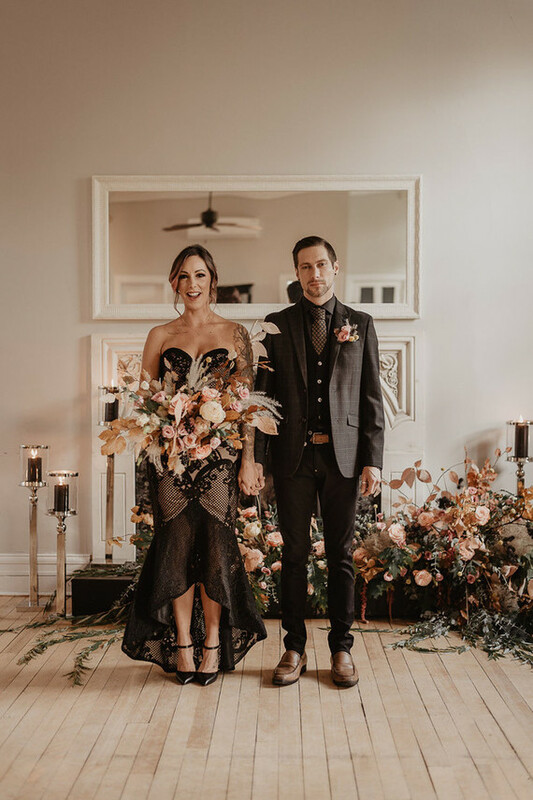 Every little detail was accounted for, from the unique stationery to the eclectic attire, down to every wild floral accent. 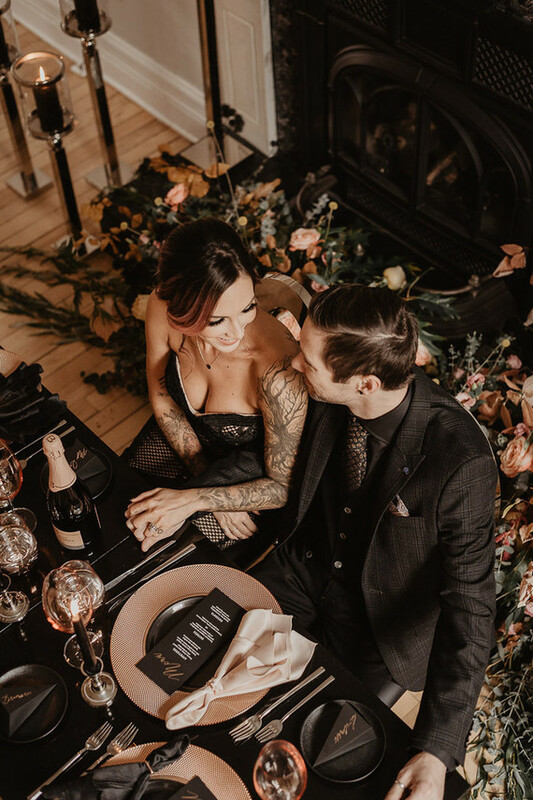 Super romantic, moody floral black and rose gold tablescape inspo, right here! Love how perfectly this complements the coral and rust tones. 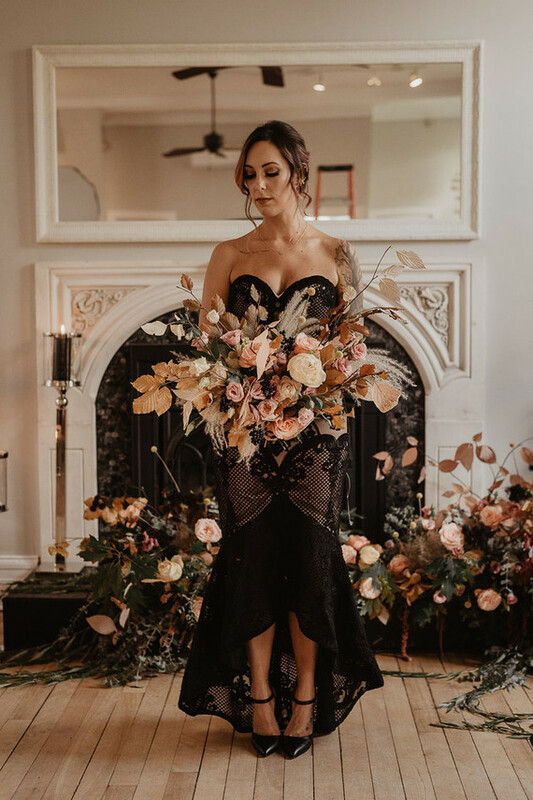 The stylists wanted to depict the unconventional, edgy bride who is looking to express her personality without opting for the traditional white dress. 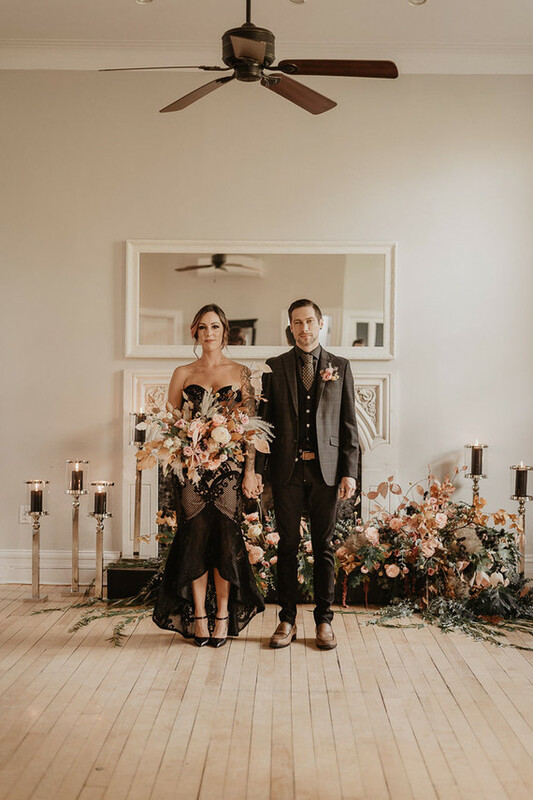 The bride was wearing a beautiful strapless blush and black lace midi wedding gown with a high low skirt. 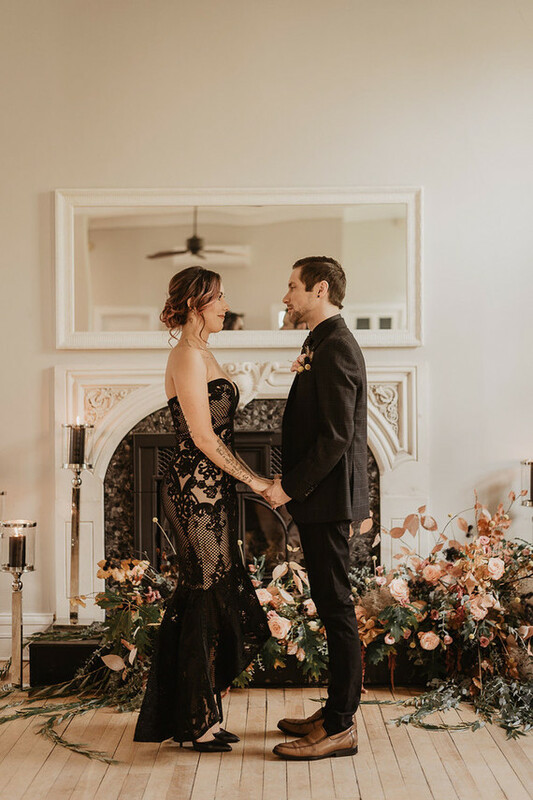 The groom was wearing a black three-piece wedding suit with a black shirt, a printed tie, brown shoes and a blush boutonniere. 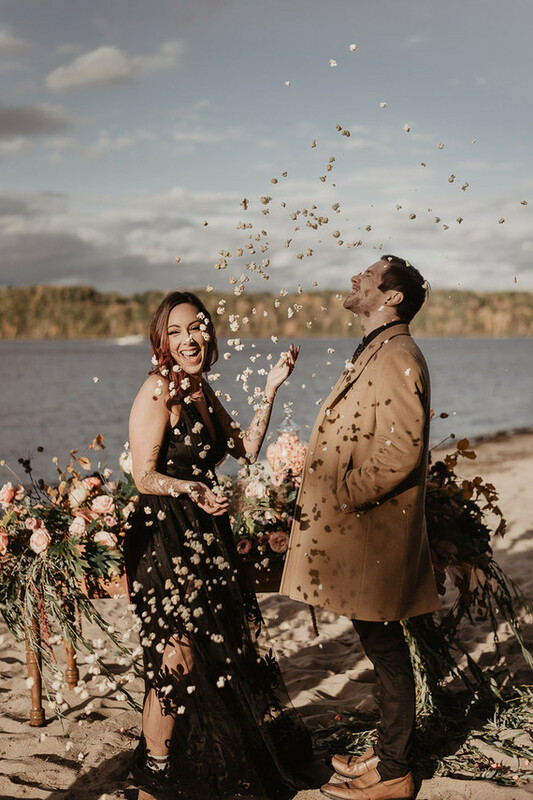 The stylists chose Sandy beach in Hudson, Quebec for the ceremony portion because of its intimate nature and breathtaking view of the Lake of Two Mountains. 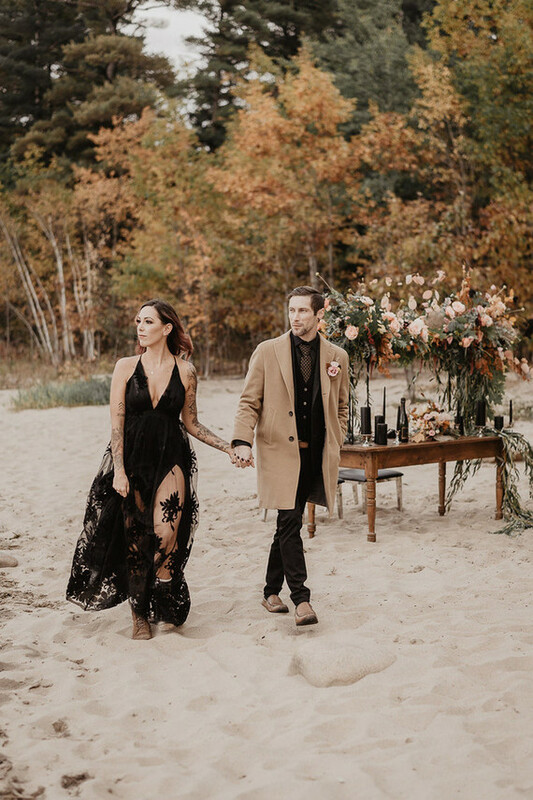 It was the perfect backdrop with all the sandy beige tones and the fall-colored leaves against the contrast of the black dress and decor.